Daily Debate: Would You Do a Zelda Themed Christmas? Halloween is just a couple weeks away, then it’ll be Thanksgiving in the United States, and then after that, guess what time it is? Time to decorate for Christmas! A lot of people like to do themes when it comes to decorating for the holidays, and most people tend to stick with certain colors , like the traditional red and green, or silver and blue, etc. I was browsing on twitter out of boredom, and noticed someone tweeted about a Hallmark keepsake ornament of Link from the original The Legend of Zelda that they had. If I wasn’t sold just on the look itself, it even played the Overworld Theme! The ornament was just released this year, and goes for about $17.99 on the Hallmark website. 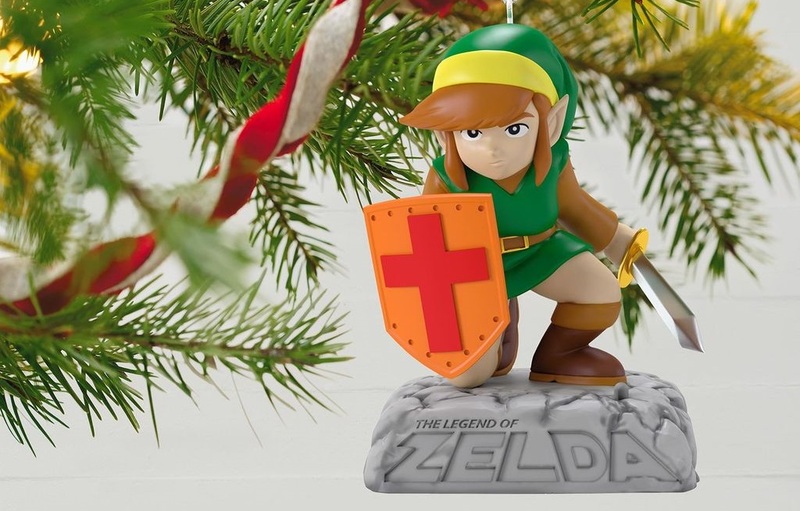 Hallmark isn’t the only one with Zelda themed ornaments though, as I’ve seen a Wind Waker one from Hot Topic, Special Edition Twilight Princess ornaments on ebay, and of course, there are tons on Etsy as well. Seeing all this got me thinking, would you do a Zelda themed Christmas? If so, how would you decorate for it? Let us know in the comments below!